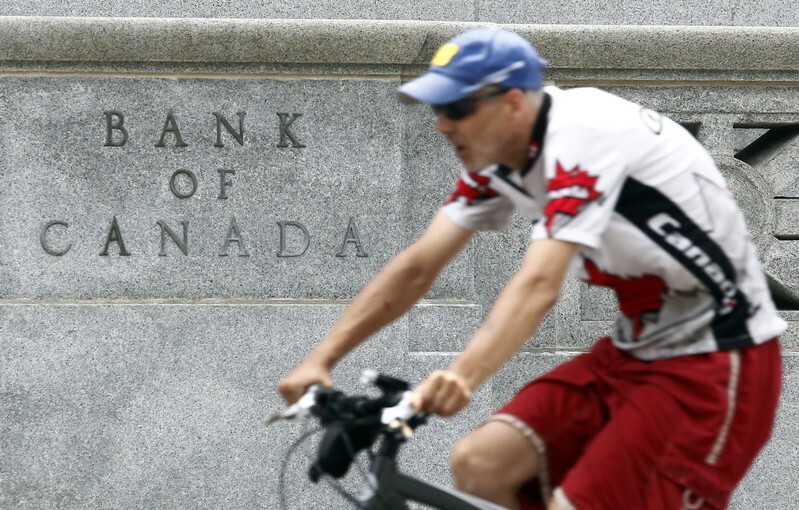 BENGALURU (Reuters) – The Bank of Canada is expected to hold policy steady for the rest of this year, with calls for the next hike in early 2020 resting on a knife’s edge, a Reuters poll showed, the latest dulling of rate expectations for a major central bank. Just last month, a majority of economists said the overnight rate would rise to 2.0 percent in the third quarter of this year, followed by another rise next year. 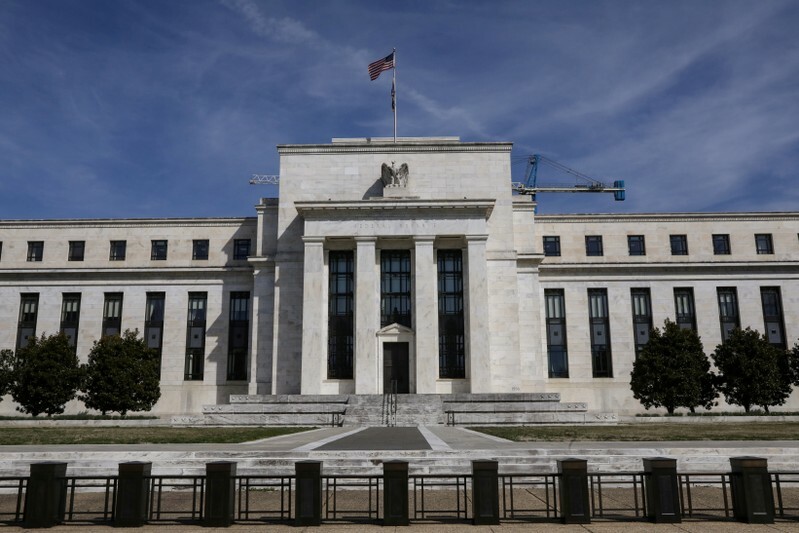 The findings from the April 12-16 poll of over 40 economists brings expectations for the BoC in line with those for the U.S. Federal Reserve and other major central banks, which are now forecast to stay on the sidelines this year. The Canadian economy has taken a hit from the mandatory production cut of oil – its biggest export – a slowdown in the housing market and wilting business sentiment over worries surrounding the U.S.-China trade war. “Although the Bank of Canada still sports a directional bias in its forward-looking language, referring to ‘future rate increases’ in the March announcement, this likely reflects the fact that policy rates are still negative in real terms,” noted Douglas Porter, chief economist at BMO Capital Markets. All economists polled said the BoC will hold rates at 1.75 percent at its April 24 meeting and about 60 percent of them say they will stay there through to the end of this year. The median forecast shows the central bank will hike in the first quarter of next year to 2.0 percent, but the sample was split. The rates are forecast to stay put after that through to end-2020. Almost 90 percent of economists who answered an additional question said a rate cut was unlikely by end-2020 as they remain hopeful the economy will muddle through its current rough patch. “Those that think the softness will continue will point to signs of slowing growth in the U.S. and Europe, declines in global trade volumes, an inversion of the yield curve, and declines in business and consumer confidence,” noted Jean-François Perrault, chief economist at Scotiabank. The recent rise in oil prices contributed to a Canadian inflation increase to 1.9 percent in March, just below the central bank’s 2 percent target. A separate Reuters poll showed oil prices are expected to rise over the coming year. While that may help underpin the economy, a major oil and natural resources exporter, the growth outlook was cut in the latest poll. Gross domestic product (GDP) growth was forecast to average 1.6 percent this year and 1.7 percent next, a downgrade from 1.8 percent predicted for both those years in the January poll. The median probability of a recession in the next 12 months was 20 percent, and 27.5 percent in the next two years. That compares with a 25 percent probability of a U.S. recession in the next 12 months and 40 percent chance in the next two years. TOKYO (Reuters) – The euro was buoyant on Thursday after more evidence of strength in China improved the outlook for the global economy, with the market looking next to European indicators to provide the currency with a further boost. 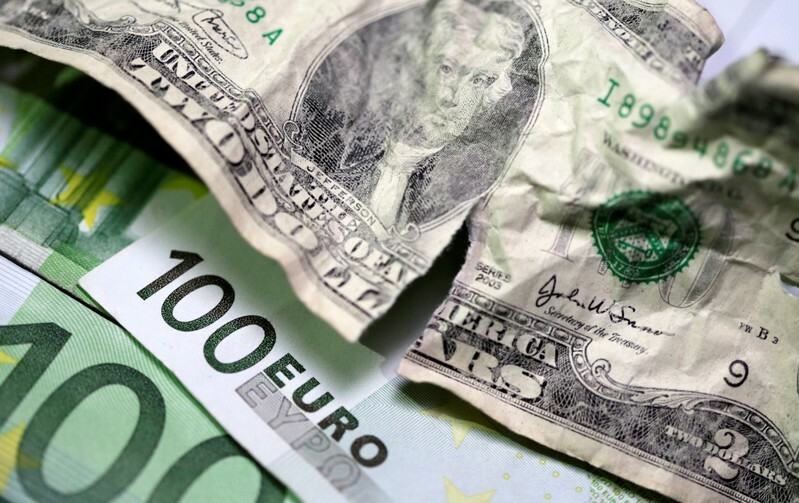 The euro was a shade higher at $1.1298, having eked out a gain of 0.1 percent the previous day. The single currency has steadily recovered from a recent low of $1.1183 plumbed at the start of April. The euro was lifted after data on Wednesday showed China’s economy grew at a steady 6.4 percent pace in the first quarter, defying expectations for a further slowdown, as industrial production surged and consumer demand showed signs of improvement. “A recovering Chinese economy is also good news for the German economy, and thus positive for the euro. The ongoing surge in bund yields amid ‘risk on’ is a key factor supporting the euro,” said Junichi Ishikawa, senior FX strategist at IG Securities in Tokyo. The 10-year German bund yield rose to a one-month high of 0.10 percent overnight, in a sharp rebound from a 2-1/2-year low of minus 0.094 percent set at the end of March. Bund yields had sunk in March as concerns about slowing global growth gripped the broader market. Investors are now watching Chinese and European economic data for signs that the global economy is performing better than initially feared. The Purchasing Managers Indexes (PMIs) for the manufacturing and service sectors in Europe due later on Thursday will provide the next indication of strength for the European economy. “Data from China cleared the way for the euro, which needs follow through support in the form of strong euro zone indicators,” Ishikawa at IG Securities said. The dollar index against a basket of six major currencies was flat at 97.015 after dipping 0.05 percent the previous day. The U.S. currency was steady at 112.035 yen after briefly touching a four-month peak of 112.17 on Wednesday amid a bounce in U.S. Treasury yields to a one-month high. Commodity-linked currencies sagged after a surge in crude oil prices ran out of steam. The Canadian dollar stood at C$1.3352 per dollar, having pulled back from a one-month high of C$1.3275 brushed on Wednesday. The Australian dollar was down 0.1 percent at $0.7173 after popping up to a two-month peak of $0.7206 the previous day in response to the stronger-than-expected Chinese economic growth data. The Fed this year decided to indefinitely manage short-term interest rates by tweaking the interest it pays banks on excess money they keep at the central bank using a process that requires the Fed to keep more bank capital on hand than it did prior to the global financial crisis. After the crisis, the Fed bulked up its holdings by buying Treasuries using bank reserves it created. Eventually it started letting bonds and reserves decline to bring policy back to normal. In March, Fed officials decided to stop letting those bond holdings decline by September. To keep control of rates, officials will eventually have to start buying bonds again and building up bank reserves. “The size of these purchases will need to be larger than similar pre-crisis operations,” in part because the Fed’s other liabilities – including paper currency and the U.S. government’s accounts – are bigger, Lorie Logan, an official at the Federal Reserve Bank of New York, said in a speech at an event in New York. The purchases would be “gradual and mechanical,” she said. Logan is the head of market operations monitoring and analysis at the New York Fed, which implements the Fed’s monetary policies by trading in the market and managing the central bank’s portfolio. In recent weeks U.S. banks have occasionally paid more to borrow reserves from each other than what the Fed pays. But Logan said bank reserves are currently ample enough that the central bank can still manage interest rates well. Bank borrowing rates that are stable and modestly above the interest paid by the Fed does not indicate an insufficient supply of reserves, she said. RIO DE JANEIRO/SAO PAULO (Reuters) – Brazilian state-run oil firm Petroleo Brasileiro SA is completely free of political interference and is examining divesting a wide range of assets, including its fuel distribution unit, executives said on Wednesday. In an impromptu press conference at the Rio de Janeiro headquarters of Petrobras, as the firm is known, Chief Executive Roberto Castello Branco announced a diesel price hike of 10 cents per liter and said the company has complete control over its pricing strategy. 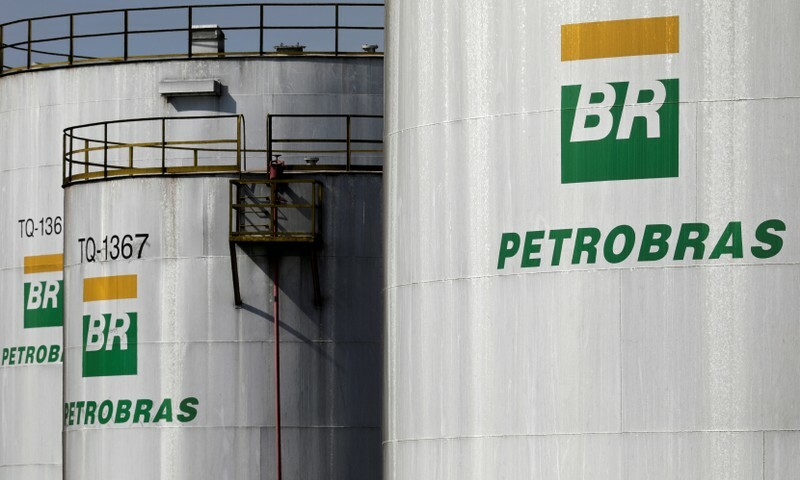 Speaking at an event in Sao Paulo only minutes before, Chief Financial Officer Rafael Grisolia said the firm was looking at selling off assets such as deepwater pipelines and Petrobras Distribuidora SA, which includes a gas station chain stretching across the country. The comments come as executives scramble to contain the fallout of a Friday incident, in which the firm canceled a diesel price hike at the behest of Brazilian President Jair Bolsonaro, stirring fears of political interference and tanking Petrobras shares. While Bolsonaro´s government has promised a hands-off approach to Petrobras, investors are wary of a return to policies enacted under past administrations, in which the company was forced to sell fuel at a discount to international rates. On Tuesday, Bolsonaro´s spokesman and Economy Minister Paulo Guedes sought to characterize the canceled price hike as a one-time error that would not be repeated. Petrobras is analyzing the best model for selling three offshore natural gas pipelines, CFO Grisolia said, including whether they will be sold individually or in a package. Grisolia also said the oil company would “probably” reduce its stake in Petrobras Distribuidora to below 50 percent from the current 71 percent, effectively privatizing the unit through a secondary share offering. Investors have cheered the firm’s recent push to cut debt and refocus on oil exploration and production via an aggressive divestment program. Reuters reported earlier this month that Petrobras was preparing to sell three more gas pipelines after successfully selling its larger TAG unit to France’s Engie for $8.6 billion. Reuters reported on Tuesday the company had hired nine banks to manage Petrobras Distribuidora’s share offering. LONDON (Reuters) – Britain’s “Big Four” accounting firms must ringfence auditing from their consultancy work, the country’s competition watchdog said on Thursday in a response to book-keeping failures such as at construction company Carillion and retailer BHS. “Auditors should focus exclusively on producing the most challenging and objective audits, rather than being influenced by their much larger consultancy businesses,” the Competition and Markets Authority (CMA) said. Exemplifying the issue, regulators found PwC’s lead auditor of BHS spent two hours on its 2014 audit and 31 hours on more lucrative non-audit work, leaving the bulk of auditing work to juniors. PwC was fined a record 6.5 million pounds ($9 million) for its shortcomings. Britain’s business minister Greg Clark has said he would introduce legislation to implement the CMA’s recommendations, which constitute the most radical reform of auditing yet after previous attempts by Britain and the EU to loosen the Big Four’s grip on the market have failed. 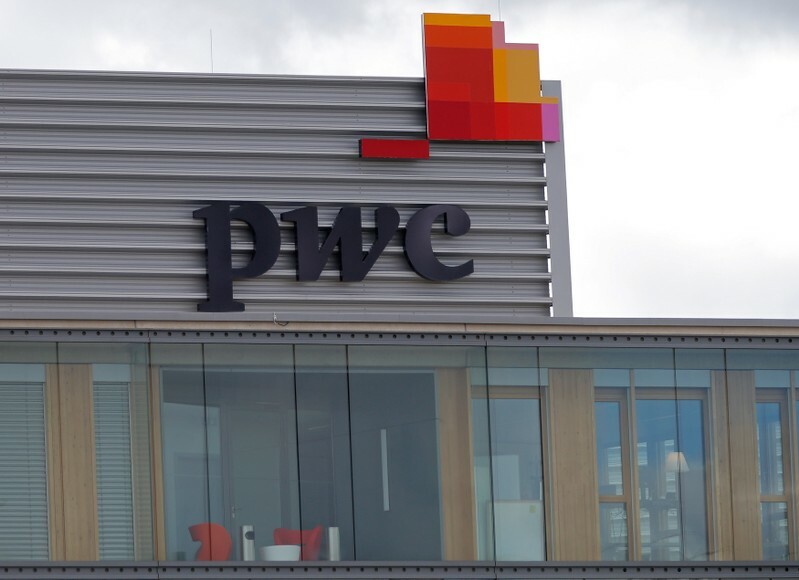 Yet operational separation of audit and consultancy at PwC, EY, Deloitte and KPMG would fall short of the full break-up that British lawmakers called for this month. The CMA noted “difficulties with an immediate global structural split”, given the Big Four are international and Britain can only intervene in the UK. The operational split should be reviewed by regulators after five years to see if tougher measures were needed, the CMA said. The audit practices of the Big Four should have their own management, accounts, pay policies, chief executive and board. Profit-sharing between audit and consultancy should be banned, and promotions and bonuses should be based on the quality of audits, the CMA said. The Big Four, who audit nearly all of Britain’s blue chip companies, say ringfencing would do little to improve competition and standards, and proposed caps on how many companies they could audit to give smaller rivals a leg up. But the CMA has not included this in its final recommendations. The CMA confirmed its initial recommendation that the top 350 listed companies must hire two auditors, with one from outside the Big Four – a step some companies are leery about because of the extra cost. Both would be liable for the audit. Regulators could allow “initial limited exceptions” to the joint audit rule for the biggest, most complex listed companies, the CMA said in a nod to a suggestion from lawmakers. Grant Thornton and BDO, the nearest rivals to the Big Four in Britain, are far smaller and would find it hard to audit a major international company. The CMA said a company which hired only a non-Big Four auditor would be exempt from the joint audit rule, but all exempt audits should face closer regulatory scrutiny. Joint audits would remain until regulators decide choice and competition have improved enough to address the sector’s vulnerability to a Big Four firm going bust, the CMA said. 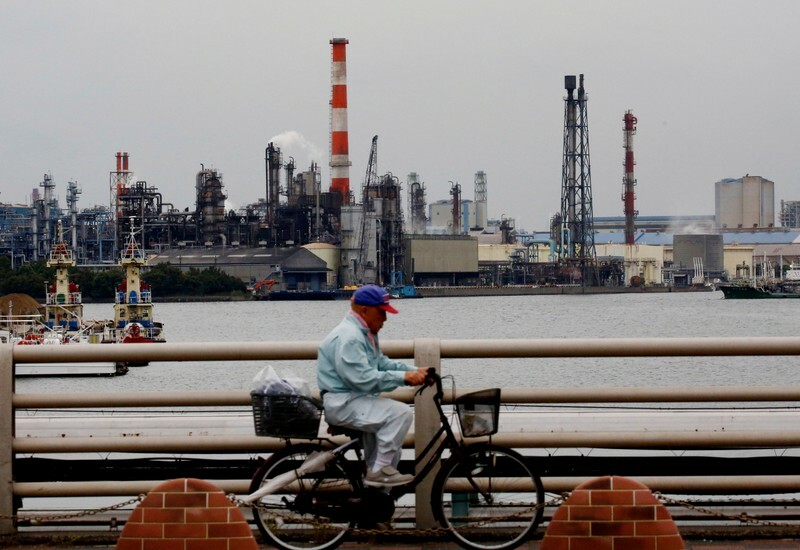 TOKYO (Reuters) – Japanese manufacturers’ business confidence slipped to a 2-1/2-year low in April, a Reuters poll showed on Thursday, underlining growing concerns the economy could slip into a recession in the face of slowing external demand. The monthly poll, which tracks the Bank of Japan’s (BOJ) closely watched tankan quarterly survey, found the service-sector mood up for the first time in four months, which may help ease some of the pressure on the world’s third-biggest economy. Manufacturers’ mood is expected to rebound over the coming three months and service-sector morale is also seen edging up slightly, although the pace of recovery appears weak. Subdued business confidence – on top of weakness in factory output and exports – has raised the specter of a downturn, although BOJ Governor Haruhiko Kuroda has maintained a relatively sanguine view on the economy in a signal that policy will remain steady at next week’s rate-review. In the Reuters poll of 478 large- and mid-sized companies, in which 241 firms responded on condition of anonymity, many managers voiced concerns about China’s economic slowdown and its trade war with the United States. “A sense of caution is rising due to the global slowdown amid the U.S.-China trade war and Brexit, which are causing companies to hold off on business investment, curbing orders for capex,” a manager of a machinery maker wrote in the survey. The Reuters Tankan sentiment index for manufacturers stood at 8 in April, down two points from March, weighed on by manufacturers of processed food, transport equipment machinery and chemicals, the April 3-15 survey showed. The index posted a sixth straight month of falls and hit the lowest reading since September 2016. It is expected to rebound to 13 in July. A bruising Sino-U.S. tariff war and slowing global growth have curbed global trade, in turn hurting Japan’s exporters and manufacturing industry. Some analysts warn of the risk of the economy sliding into a recession. In the fourth quarter, Japan’s economy managed a modest bounce after a contraction in the previous quarter as floods and an earthquake temporarily halted production. The worry is that the recovery is being stunted by a cooling global economy. The service-sector index grew to 24 in April from 22 in the previous month, led by industries such as construction/real estate and transport/utility. The index is expected to inch up to 25 in July. The BOJ’s last quarterly tankan showed the business mood hit a two-year low in the March quarter, highlighting worries that global trade tensions and weakening world demand were taking a toll on the export-reliant Japanese economy. SAN JUAN (Reuters) – A group of public labor unions and other creditors on Wednesday asked a judge to grant it power to pursue probes into individuals who contributed to Puerto Rico’s fiscal crisis because the U.S. commonwealth’s federally created financial oversight board has failed to do so. The Official Committee of Unsecured Creditors, which includes Service Employees International Union, American Federation of Teachers, as well as suppliers and contractors to the Puerto Rican government, said the board recently informed the committee it will not pursue claims against advisers, underwriters and public officials involved in debt sales by the island prior to its May 2017 bankruptcy filing. “The oversight board has alternated between slow-walking a proper investigation into potential causes of action relating to Puerto Rico’s debt issuances, actively obstructing the committee’s own efforts to investigate the debtors’ prior conduct and indebtedness, and simply allowing causes of action to lapse by failing to anticipate and meet statutory deadlines,” the motion stated. The committee asked the judge overseeing the island’s bankruptcy to appoint it as a trustee with the power to investigate past debt issuances, as well as pursue fraud, negligence, and breach of fiduciary duty claims against individuals. The board, which is attempting to restructure about $120 billion of the island’s debt and pension obligations through a form of bankruptcy, said on Twitter that while it rejected “actions based on fraud and other speculative theories,” it has not ruled out suing to recoup fees paid to underwriters and others. 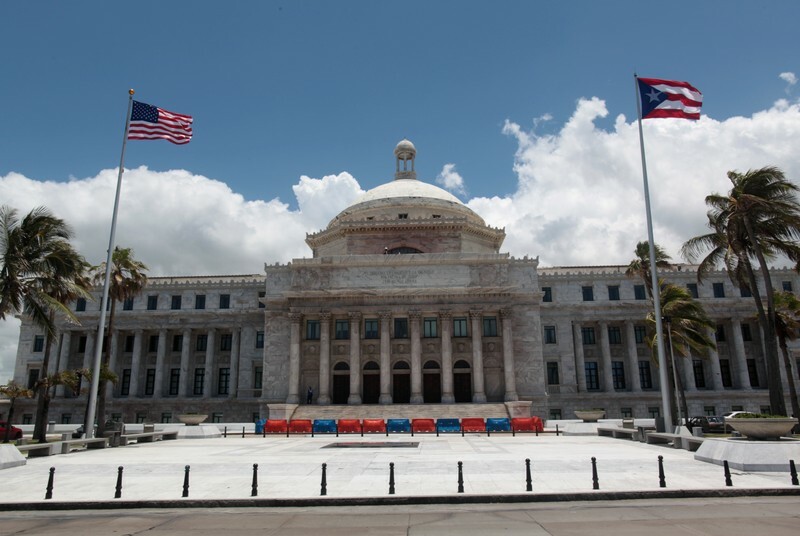 The oversight board in January asked the court to invalidate the 2014 bonds, as well as GO bonds sold in 2012 for violating a debt limit in the Puerto Rico Constitution. While U.S. District Court Judge Laura Taylor Swain has yet to rule on that and other motions seeking to void bonds, the statute of limitations for the board to file lawsuits related to the debt runs out next month. Swain is scheduled to take up the board’s request for a deadline extension related to its effort to pursue claims against bondholders at an April 24 hearing. NEW YORK (Reuters) – Falling U.S. new vehicle sales through the rest of 2019 and into 2020 will bring more intense competition in the increasingly crowded market for SUVs and a continued decline in passenger car sales, executives and economists said at this week’s auto show in New York. The new SUVs at this week’s auto show included models from Toyota Motor Corp, Ford Motor Co, Subaru Corp, Daimler AG’s Mercedes-Benz and Hyundai Motor Co.
After a long bull run, U.S. auto sales are expected to fall about 3 percent to 16.8 million units. That is still a respectable number, but the decline will increase competition for market share. Much of the decrease will be driven by falling sedan sales. As recently as 2012, passenger cars made up more than 50 percent of U.S. new vehicle sales. 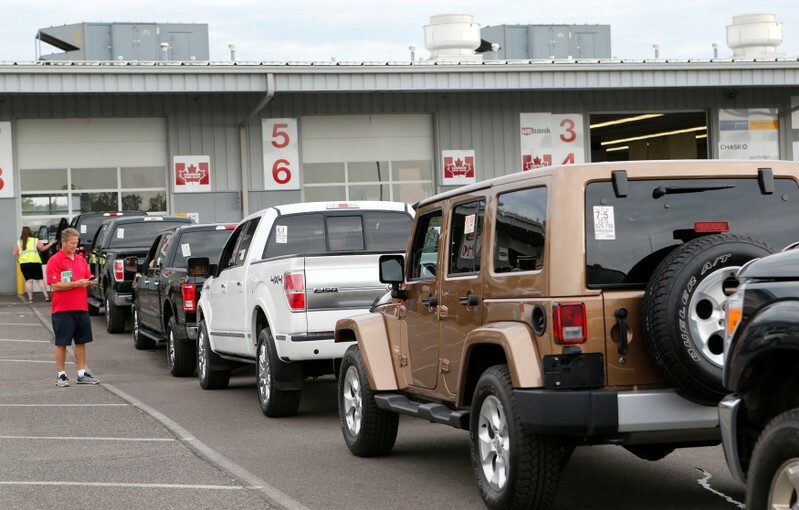 But that number has dropped rapidly as American consumers have sought the greater comfort and space provided by larger pickup trucks and SUVs. While those bigger vehicles are far more profitable for automakers, increased competition could lead to higher incentives in that segment that could squeeze profit margins just like with sedans over the years, industry officials said. Executives also cited slowly climbing auto interest rates and the rising cost of new vehicles. Honda Senior Vice President Henio Arcangeli said uncertainty about the revised U.S. tax code also had an impact on sales. In the first quarter, cars made up just over 30 percent of new vehicle sales. Bob Carter, head of U.S. sales at Toyota, said the industry-wide passenger car market share could still fall slightly before hitting a bottom. But for SUVs, the market has continued to grow and may see slight growth in 2019. That has automakers pushing out new SUVs to fight for sales. According to data from automotive consultancy LMC Automotive, by the year 2023 there will be 90 mainstream SUV and crossover models on the U.S. market, as well as 90 luxury models. Those numbers compare with 2017 levels of 65 mainstream SUV and crossover models and 53 luxury models. Patrick Manzi, senior economist at the National Automobile Dealers Association (NADA), said the growing competition favors those automakers bringing fresh vehicles to the market to grab consumers’ attention. “If you don’t have the newest, hottest product, you’re going to have to stand out somehow,” he said. One way to stand out with an older vehicle is to offer steeper discounts to potential buyers, Manzi added. Lincoln sales rose 11.2 percent in the first quarter, driven by SUV sales even as Ford brand sales fell 2.2 percent. “I am confident that sales trend will continue,” Falotico said. Despite falling sedan sales, executives at Nissan Motor Co Ltd and Toyota said they remain committed to the segment. Toyota’s Carter noted Americans still bought 5.3 million sedans in 2018. 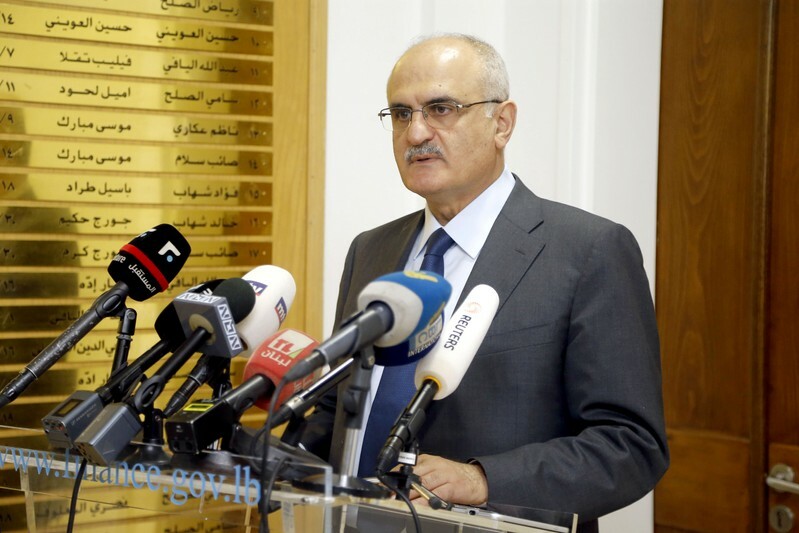 BEIRUT (Reuters) – Lebanon’s draft budget for 2019 projects a deficit of less than 9 percent of GDP compared to 11.2 percent in 2018 and includes “wide reductions” in spending based on the need for “exceptional austerity measures”, the finance minister said. The draft budget projects a primary surplus compared to a deficit in 2018, he added.